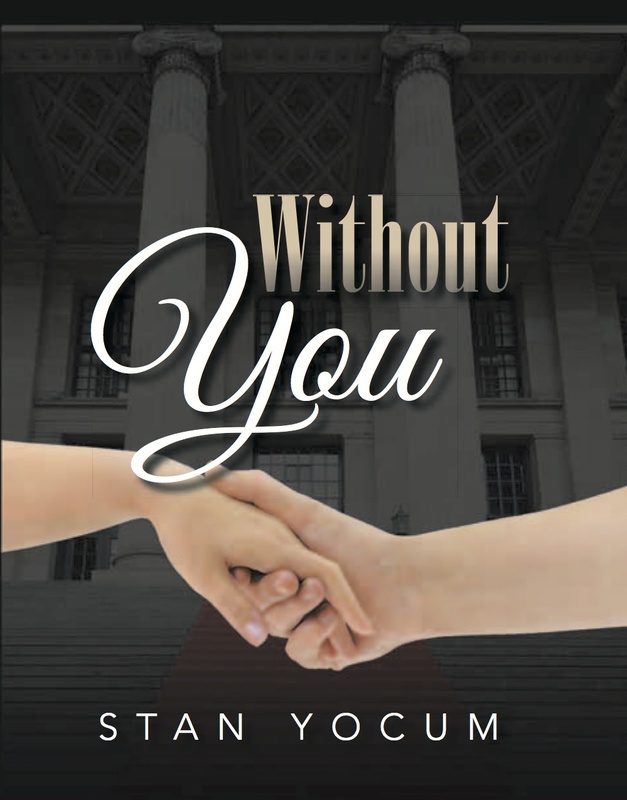 Without You is a story about two young students at a prestigious art school who fall in love and together ignite the world with their musical abilities and talents. I wrote the story in 2010, and told everyone that of all the books I’ve written I enjoyed Without You more than any other. Previously, I had only written suspense novels, but I wanted to see if I could branch out and so I tackled the idea of writing a love story. I actually thought at the time that I would have a difficult time identifying with the trials and tribulations of two young lovers. But once my mind reconnected with my own experiences as a theater arts student, thoughts and ideas came rushing forth as I recalled many past memories, both good and bad, which I feel we all experience as young adults. What always surprises me is how long it actually takes to publish a book once you’ve made the decision to do so. Once I submitted the manuscript, I edited two times: the first to clean up some point-of-view issues, and then to cut 12,000 words to get the novel to a more manageable length (the suggestion of my editor). When pianist Matt Sampson first hears Del Rey Silone sing, he is captivated by the quality of her voice … and her beauty. He also knows that under his direction she could develop a voice that will stun the world. They are both students at one of the most prestigious performing-arts schools in America, and each of them harbors dreams of success. Matt begins tutoring Del Rey, and soon a strong attraction develops between the two artists. However, the young lovers must find the strength to resist the destructive power of success, learning to balance the demands of their careers against the passion of their hearts. Can they survive? As the power of Del Rey’s voice matures under Matt’s tutelage, Chris Elliot, a powerful musical agent, begins to court Del Rey as a client. But she soon discovers that his desires go beyond having just a professional relationship. Despite the unbelievable monetary rewards he acquires for her, her love for the pianist cannot be broken. Both students soon learn, however, that the strength of their love will undoubtedly be tested. As Del Rey’s first album skyrockets up the charts, Chris arranges for her to go on tour, but she can’t comprehend being on the road without Matt. He, on the other hand, can’t imagine leaving school and giving up on his dream of becoming a composer. While neither can bear the thought of being apart, surrendering their individual dreams of success weighs heavily on their relationship. Can their love compete against the applause and adulation of adoring audiences? But more importantly, is either willing to discover what life would be like without the other? I hope you will purchase my book, which you can do from my website http://www.stanyocum.com with a purchase option link to Amazon. It comes in formats of Kindle (and other eBook formats), Hardcover, and Softcover. If you do purchase it, I thank you and hope you enjoy reading it as much as I enjoyed writing it. ← A Real Charmer . . . How About That!